We at Signature Pools have recently returned from the Leisure Pools Dealer Conference in San Antonio, Texas. The weekend was filled with fantastic educational programs and was a wonderful opportunity to network with other fiberglass pool builders from all over the country. From an up-close tour of the Leisure Pools factory and manufacturing process, to sales and marketing seminars presented by Marcus Sheridan and our friends at River Pools and Spas– the weekend was packed with useful industry information. 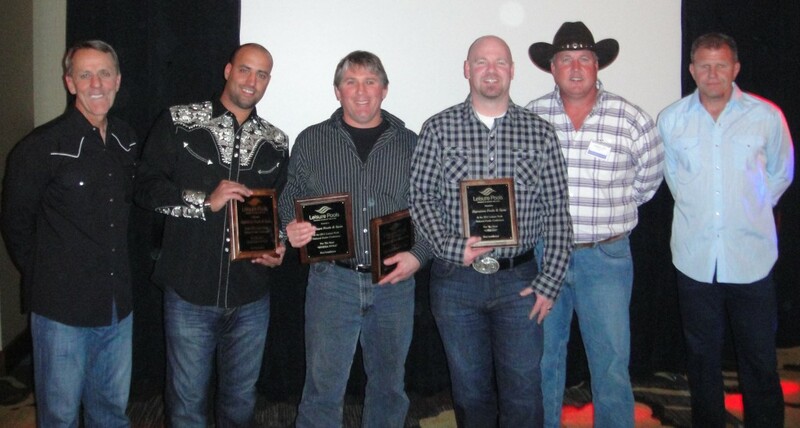 The conference concluded with a Cowboy Themed awards dinner that honored some of the country’s best swimming pool builders and design firms. We at Signature Pools were honored to be awarded the prestigious ‘Best Overall Design’ for 2010 along with two other awards: Best Riviera Style and Best Elegance Style pools of 2010. Pictures of these jobs will be available on our website soon. We would also like to congratulate Earl’s Pools of Pelham, Alabama for Best Moroccan Style, Pools Now of Del Rio, Texas for Best Tuscany Style, and Enchanted Pools of Albuquerque, New Mexico for Best Roman Style. Not only were we impressed by the other award-winning pools that were recognized that evening, but by the overall outstanding quality of the builders that comprises the Leisure Pools dealer network. The room was filled with some of the most talented and experienced individuals in the industry. The weekend was also a great opportunity for Signature Pools to get some ‘face time’ with other swimming pool builders, designers and installers from the Leisure Pools dealer network. Meeting in person with such a large group of like-minded industry professionals provided us with a platform to brainstorm, dream and grow as a company. We at Signature Pools certainly look forward to next year’s dealer conference as well! Well done Signature. you guys are leading the way in the fiberglass pool industry in many ways. You’ve done some amazing visual products. Hi Jim. It is always great being around amazing designers and builders such as Signature Pools. We too at Leisure Pools can’t wait for the 2012 Conference to see what creative things you have done with Leisure Pools this year. Thanks to all of your team, Tom, Todd and Jim for spending time with our up and coming dealers and sharing with them your ideas and techniques that have truly made Signature Pools a leader of the industry. We at Signature sincerely appreciate the compliments and look forward to strengthening our relationship with Leisure Pools even further this year. Congratulations on your Best Pool Design Award! It is always rewarding to be recognized and acknowledged by one’s peers.